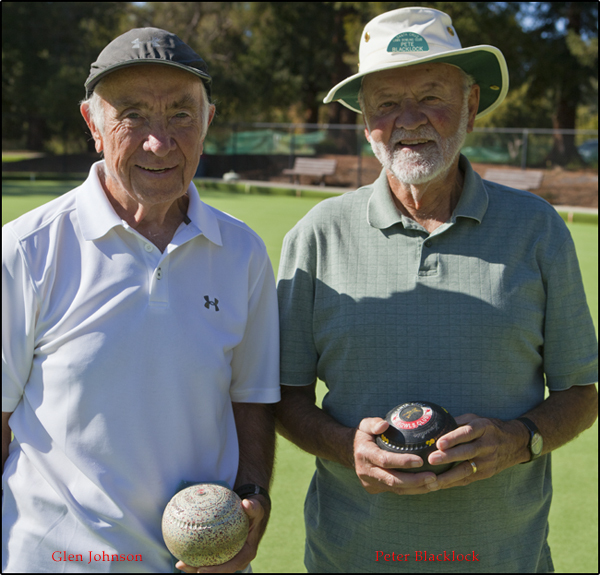 Glen defeated Pete Blacklock for the club championship. 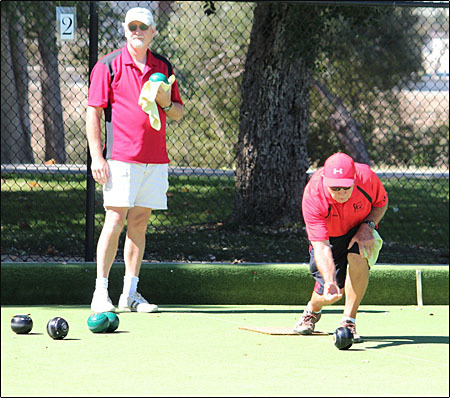 Twenty members partricipated in the on-going Poker Bowls Tournament that ran through the middle of April. Winners of each club draw matches or personal side matches received a card to build the best poker hand. Players were allowed to hold up to 10 cards until the final day when they chose which 5 cards to present in the final showdown. There was a high as well as a low hand winner and players declared which hand they were playing for before the show. 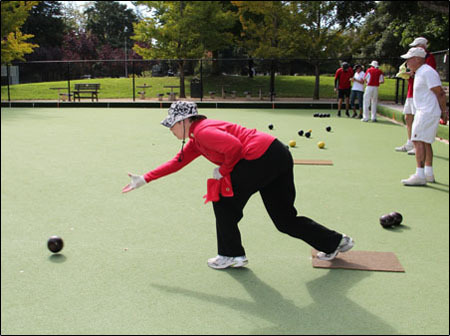 Competition has heated up on the green with cards at stake. 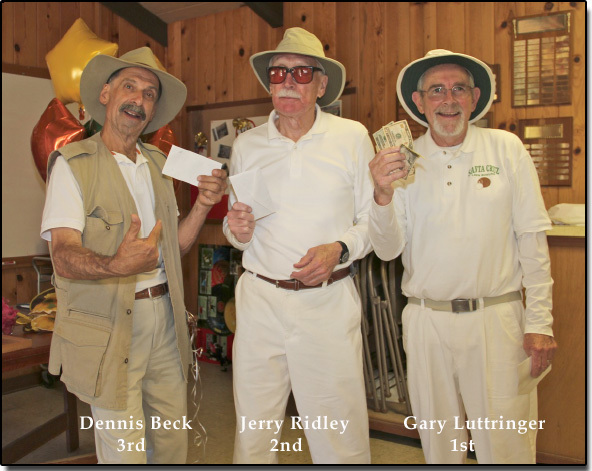 Ken defeated Jerry Louis for the club championship. 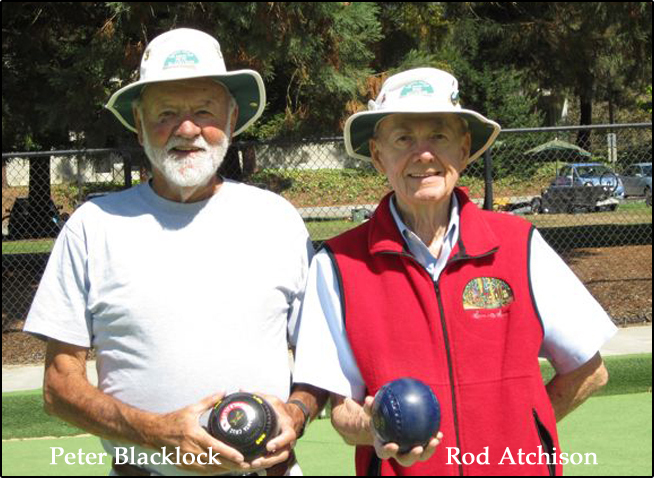 Peter Blacklock & Rod Atchison were the 2012 Pairs champions. 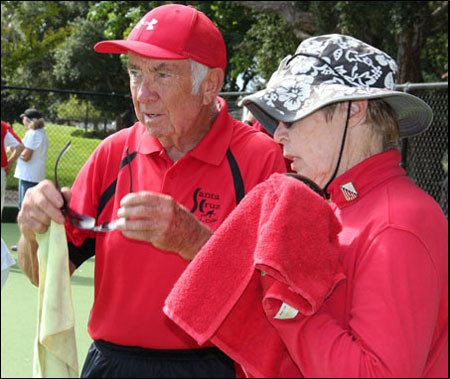 The semi finals and final playoff rounds of the 2011 Club Singles Tounament were played on Sunday November 11th. Ken Brideau & Glen Johnson battled it out with Glen coming out on top 18-16. 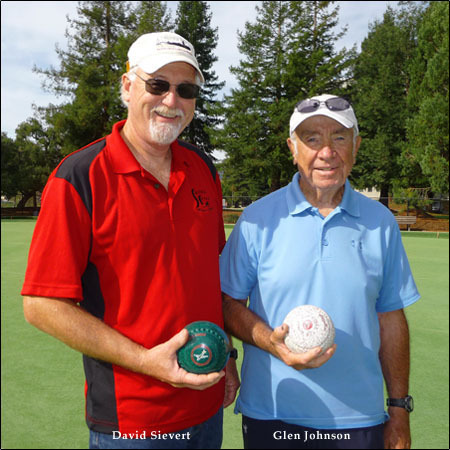 In the very close and hard fought finals between Glen Johnson & David Sievert, Glen held on to win 19-17 after 22 ends. 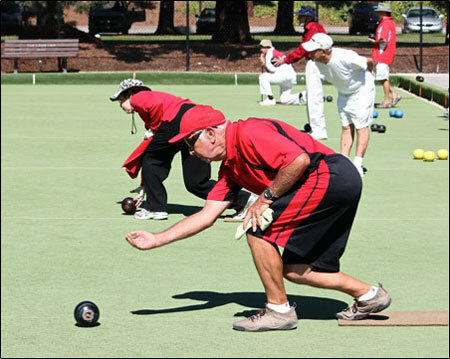 The club pairs tournament was held on August 20th with the playoffs held the following week. Heidi & Jerry Louis beat out Ken Brideau & John Curwen in the championship game. Congratulations Heidi & Jerry! 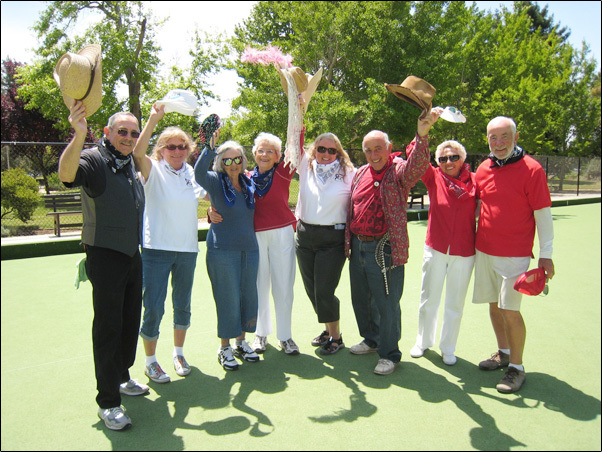 On May 7, the first ever,Santa Cruz Bowls Club Rodeo was held featuring morning Stage Coach Pairs and afternoon Deuces Wild (double jack) competitions. We had 21 players so it threw a couple of pairs into a cut throat. A lot of fun and worth doing again next year. Special mention to Stephen Schoenfeld, as wrangler and Gary Luttringer as sheriff. Great outfits! . 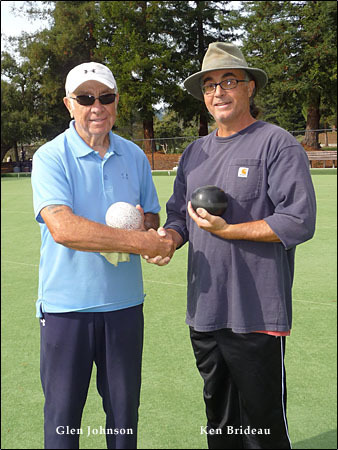 The Santa Cruz Lawn Bowls Club once again played host to the 2010 US PBA Qualifying Events. 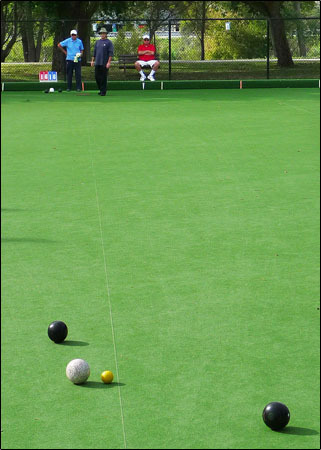 Their artificial green was in superb condition and their hospitality was outstanding. Our special thanks to President Jerry Louis and his Committees for their support and warm hospitality extended to us and to their members for giving up their green for the duration of our tournament. We are most grateful to them. The outstanding bowler was Neil Furman. He was in awesome form to bowl his way to three finals, the Scottish, Welsh and World Singles losing only to Abe Kaplan in the Scottish Open. 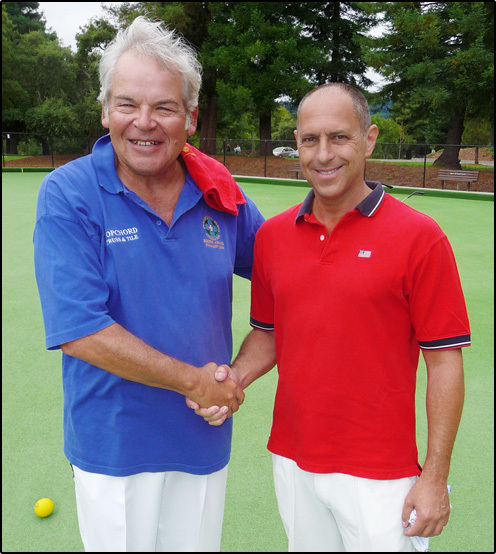 Abe Kaplan, a long time member of PBA in South Africa, showed his tournament experience against a worthy opponent in Neil Furman in the Scottish Finals. 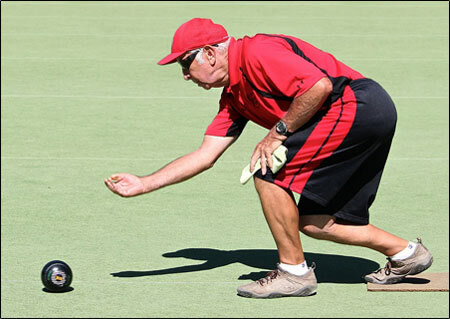 It was superb finals match to watch as it came down to the last bowl of the third tie breaker. 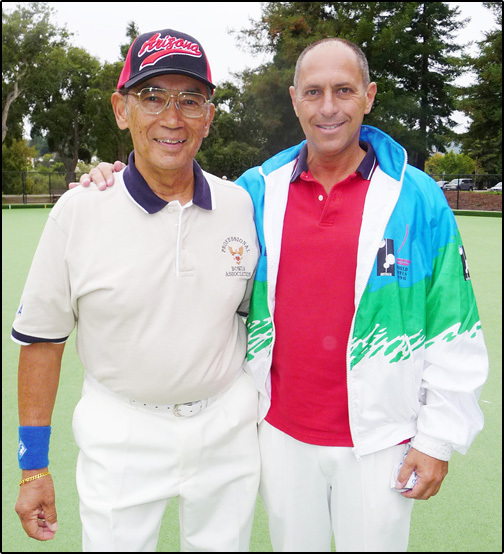 In November, Abe will be representing the US PBA in Scotland. I am delighted that he is now a member of the US PBA. In the Welsh Open, Charlie Herbert fought his way to the finals only to lose to Neil 7 - 6 in a close first set. In the second set, Neil denied Charlie of any chance of tying their match. Charlie had some unfortunate rubs but without a doubt he will be back next year with vengeance. In the World Singles, I had the opportunity to play against our newest PBA member, Aaron Zangle in the semi finals. It was a hard fought match but I was fortunate to be in good form to win the first set by a score 7 - 6 and 7 - 7 in the second set. I strongly believe that Aaron will be representing the US PBA in the near future. 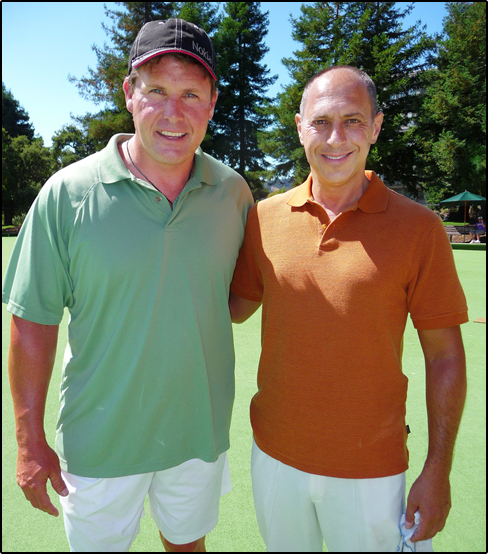 I enjoyed playing against Neil Furman in the finals. I lost the first set by a score of 7 -6. 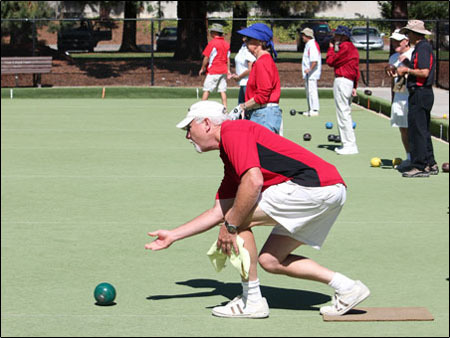 In the second set, Neil demonstrated his true form once again to represent US in the World Singles at Potter in January 2011. 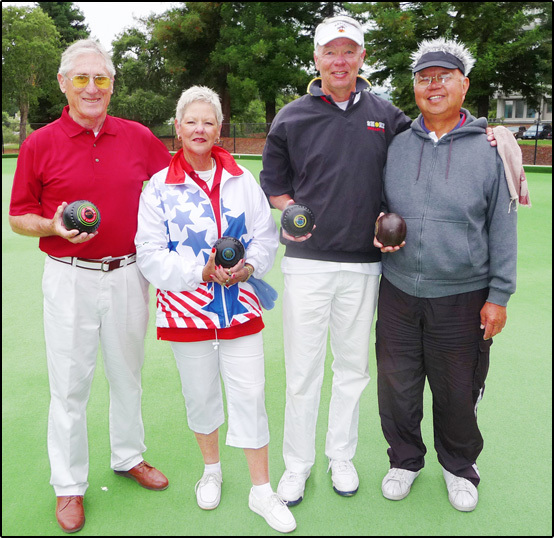 In the Pairs, Ed Quo and Dan Christensen prevailed over the team of Dee McSparran and Larry Murphy. 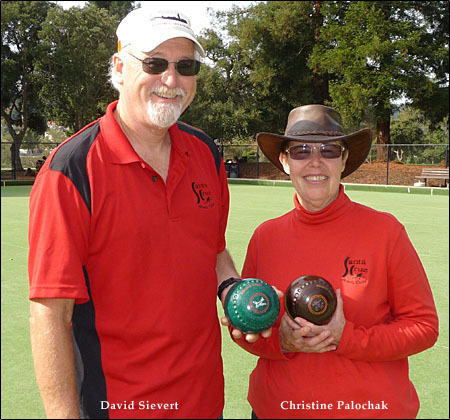 Ed credited their team's success to the fine lead bowls from his partner Dan Christensen. They ran away with the first set but a much closer match in the second set to win by a score of 7 to 5. 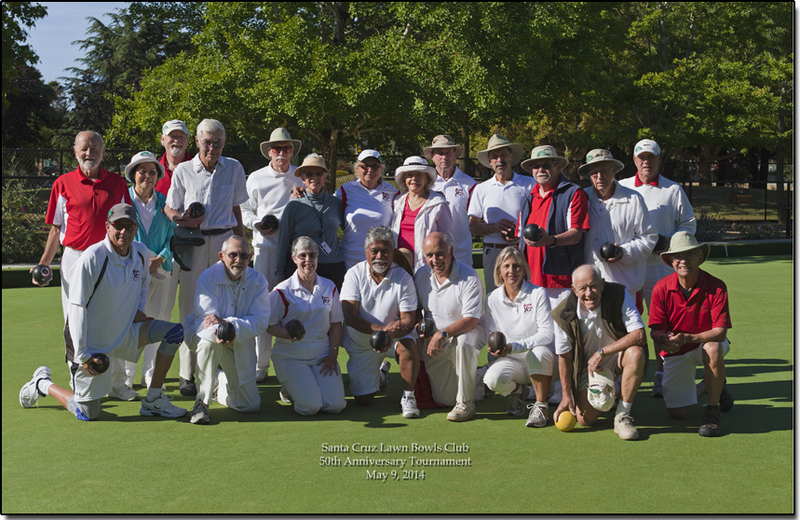 Good Luck and Good Bowling to all our winners.